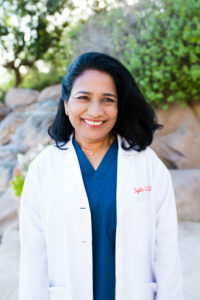 Dr. Sujatha Gunnala founded the Southwest Fertility Center in 1980 following post-graduate training at two of America’s most distinguished centers for obstetrics, gynecology, and reproductive endocrinology. Dr. Gunnala attended the Medical College of Pennsylvania and later the Albert Einstein Medical Center in Philadelphia. Among her many accomplishments she remains a diplomat of the American Board of Obstetrics and Gynecology and a fellow of the American College of Obstetrics and Gynecology. Dr. Gunnala is an active member of the American Society of Reproductive Medicine, Society of American Reproductive Technology (SART), Reproductive Surgeons, and Advanced Laparoscopy Surgeons. In association with other members of the center’s clinical staff, she has also contributed to advancing the science and practice of reproductive medicine. Dr. Gunnala remains active in research, symposiums, groundbreaking treatments, and clinical trials. She is a frequent lecturer, consultant and adjunct faculty at Midwestern University, Phoenix, AZ. 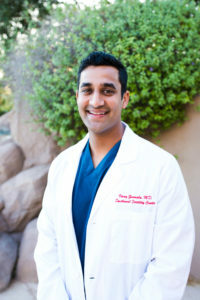 Dr. Vinay Gunnala was born and raised in Phoenix, Arizona. 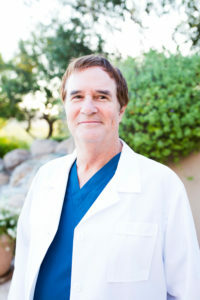 He received his undergraduate degree in Mammalian Physiology and Neuroscience at University of California, San Diego and his medical degree from the University of Arizona, College of Medicine in Tucson. Following this, he went on to complete his residency in Obstetrics and Gynecology at New York Presbyterian/Weill Cornell Medical Center, where he received a medical student teaching award as a senior resident. He then completed his fellowship training in Reproductive Endocrinology and Infertility at the world renown Center for Reproductive Medicine at Weill Cornell. Dr. Gunnala specializes in all aspects of reproductive medicine, offering patients a full range of fertility services including ovulation induction, egg freezing for fertility preservation, oocyte donation, and IVF/ICSI with and without preimplantation genetic testing. His clinical expertise extends to numerous reproductive challenges such as amenorrhea, PCOS, recurrent pregnancy loss, endometriosis, and he is a proud supporter of LGBTQ reproductive rights. In addition, he is a skilled minimally invasive surgeon for operative hysteroscopy and advanced laparoscopy. The depth of Dr. Gunnala’s clinical practice is mirrored by his vast contribution of clinical research to the scientific field. He has published several original research articles that are featured in peer-reviewed journals such as Fertility and Sterility, PLoS One, and Human Reproduction. His research interests include a variety of topics including investigating IVF challenges in women of advanced age, elective and medically indicated fertility preservation, and minimizing the incidence of ovarian hyperstimulation syndrome. (link to Dr. Vinay Gunnala’s published works) He has given several oral presentations on various research topics at national meetings and has published over 30 scientific abstracts. Dr. Vinay Gunnala is a fellow of the American College of Obstetrics and Gynecology and current member of the American Society of Reproductive Medicine. He has verbal and written fluency in both English and Spanish. In his spare time, he enjoys spending time with his loving wife and baby boy, Dhillan. He enjoys trying to relive his Brophy baseball days by playing city league softball and challenging his brother and in-laws to triathlons/Spartan races. Living in New York City for a little less than a decade was an amazing experience, but he and his wife are excited to come back home to their roots and spend more time with family and friends. 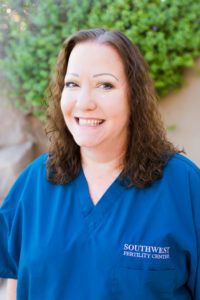 Shelley is a valued member of the Southwest Fertility Center team, and is one of three providers at Southwest Fertility Center. Shelley has practiced at SWFC for over 10 years. Hailing from Chicago with a BS in Nursing from DePaul University and a MS in Nursing from the University of Illinois, she has earned numerous accolades during her academic and professional careers. In 1991, Shelley entered the US Navy as a nurse, serving 4 years as a Lieutenant, earning The Navy Commendation Medal, which is presented for sustained acts of heroism or meritorious service. 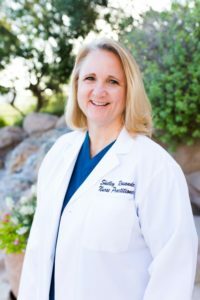 In 1995, Shelley entered the field of infertility as an IVF coordinator and in 2000 earned her certification as a Women’s Health Care Nurse Practitioner. Shelley knows the trials and tribulations of infertility issues first hand. Having personally gone through 4 IVF cycles; Shelley is the proud mother of three sons all of whom are currently studying at Southern Utah University. Shelley grills, sews, plasters, bakes, tiles, sutures, grouts, builds, demolishes, paints, decorates, listens, fixes and is the core of our practice. She is the master planner. SWFC is grateful to have her as a provider and would be lost without her! Charles has worked in the field of Reproductive Medicine for more than 25 years. He completed undergraduate studies in Clinical Laboratory Sciences at the University of Utah and Westminster College and earned his Master’s Degree in Embryology from Danube University in Austria. Charles is a Board Certified Embryology Laboratory Director and holds Board Certifications as a Technical Supervisor in Andrology and Embryology. Charles is highly proficient in Intra-Cytoplasmic Sperm Injection (ICSI) as well as embryo biopsy for PGD & PGT. Throughout his career, he established a reputation for achieving high fertilization and pregnancy rates. Charles is an active member of the American Society for Reproductive Medicine, the European Society for Human Reproduction and Embryology and has specific clinical and scientific interest in the fields of ICSI, blastocyst culture and the vitrification of oocytes and embryos. Away from the lab, Charles enjoys golf, traveling with his wife, and is an avid private airplane pilot. His dedication and affinity for new technologies keep Southwest Fertility Center on the cutting edge of reproductive science. 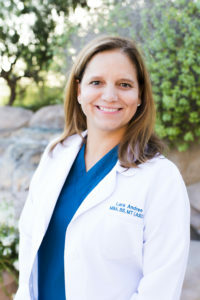 Lara is a dedicated member of the Southwest Fertility Center team, with an MBA in Healthcare Administration, a BS in Clinical Laboratory Sciences, and a minor in Community Health. Lara has worked at Southwest Fertility Center for seven years, and enjoys the dynamic culture of the clinic, tackling daily challenges, and the many advancements attributed to research. Lara is also an integral partner in the SWFC marketing team, dedicating a great deal of her time ensuring the continued success of Southwest Fertility Center. Lara is a purveyor of ebullience, loves to laugh and is crazy about her eighty-pound Pitbull, “Cheese”. She thoroughly enjoys her family, friends, traveling, good food, craft beer, and cultivating relationships with new and interesting people. Spending time with her “Little” from the Big Brothers Big Sisters program brightens her weekends. Lana is a beloved nurse at Southwest Fertility, serving patients for an impressive 30 years. She is certified in Reproductive Endocrinology and Infertility Nursing. As the IVF nurse coordinator, Lana guides and counsels patients with a caring and sensitive approach. She discusses treatment plans while explaining each step in great detail while also making herself accessible to answer questions through the often very stressful process. 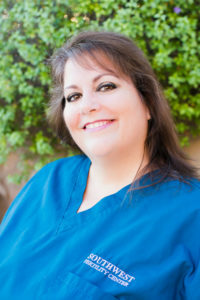 Lana received ultrasound training from Gateway Community College in 1991 and holds an associate degree in nursing from Mesa Community College. She is also a member of the American Society of Reproductive Medicine. Lana feels a special connection to the breast cancer community as she is a breast cancer survivor herself. Her support, understanding and heartfelt care for patients who are unexpectedly faced with a decision to preserve their fertility due to a cancer diagnosis is genuine. Lana is a connoisseur of fine wine, has a contagious laugh, and especially loves to spend time with her daughter, grandsons, and twin sister. Lana’s guilty pleasures are the Hallmark Channel, makeup, and the occasional pedicure. Agatha brings over 20 years of extensive nursing experience working for leading fertility centers in New York, Florida and Arizona. 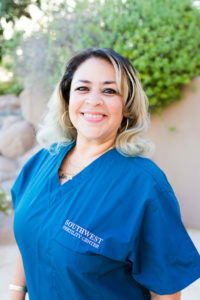 Whether counseling a new couple through the early stages of their treatment or monitoring an expectant mother, she enjoys being able to work with the team at Southwest Fertility Center in a positive, supportive and a committed way. In 2007, she received The Family Building Hero Award in Nursing from Resolve, The National Infertility Association. On a more personal note, Agatha is multilingual, loves traveling the world, working out, and party planning. Competitive by nature, she orchestrates a weekly, international fitbit challenge. The love of her life is her beautiful and rambunctious granddaughter, Quinn. 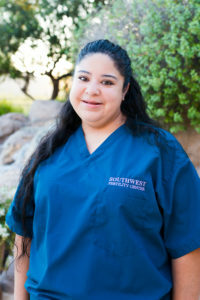 Yvonne has been part of the Southwest Fertility Center family for over 13 years. Her warm approach and kind heart is an important part of the Southwest Team. But most importantly, her technical knowledge and mental memorization is beyond reproach. She is often referred to as “Dr. Gunnala’s right hand woman”. Yvonne is fluent in both Spanish and English, providing a principle dimension to our practice. Yvonne loves big piñatas, fiestas, enjoys her family and friends here and abroad. Her witty nature keeps us all on our toes. With a limited medical background, Vanessa initially joined our practice as a medical assistant intern. She quickly learned the intricate details of our practice and was eventually hired full-time in December of 2016. Vanessa is open to new experiences, brings an array of people skills, a desire to help others, and is extremely organized. Vanessa is fluent in Spanish & English, providing a much-needed service to many of our patients. In her spare time, she enjoys spending time with her three boys. She also enjoys dancing with friends and making people smile. When she’s not working out at the local boot camp, she can be found at a nearby taco shop. Janet has worked in infertility for over 14 years, sharing her expertise in donor coordination, billing, insurance, and front office management. 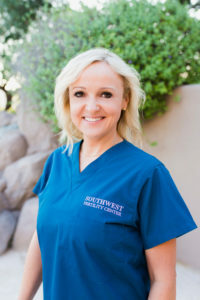 She is also an integral partner in the SWFC marketing team, dedicating a great deal of her time ensuring the continued success of Southwest Fertility Center. Arguably Janet’s greatest asset is her genuine heart, and her intrinsic love of working with fertility patients and their families. As a fertility patient herself, Janet understands the sensitivity of this journey. It is her goal to ease patient’s tensions and to make the financial portion of the process run as smoothly as possible. She is a patient advocate, who is always available to share her expertise and compassion when dealing with insurance, financing, or life in general. You will find Janet smiling, singing and nurturing the office morale. Janet enjoys spending time with her daughter and serving the youth and community in her church. 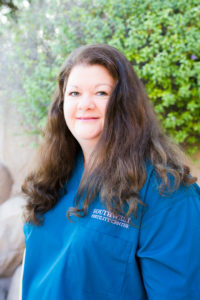 Although Fran has been a part of the Southwest Fertility Center family for over 16 years, she has known the Gunnala family for more than 37, which was in the preconception era of Dr. Vinay Gunnala. As the front office receptionist, she strives to help patients feel at ease from the moment they arrive until “graduation”. She assists Dr. Gunnala with her busy schedule, both in and out of the office. Fran has two great loves in her life: her husband Rick and Disney. If she is not in the office, you will most likely find her walking down Main Street U.S.A. at Disneyland with her husband. Karla has worked in women’s healthcare for over 15 years. She understands the frustrating industry of healthcare insurance. She treats every case equally and ensures that every patient qualifies for the coverage that they have earned and deserved. Karla is truly a dedicated employee. 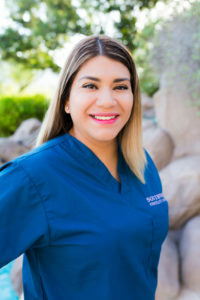 She values the family culture of Southwest Fertility Center, which allows the staff to work together as a team and believes that the reflection of the cohesiveness translates to exemplary care that they provide to their patients and their families. Karla is married with two wonderful, adult children and three lovable grandsons. She loves Zumba, shopping, getting her nails done, having fun with the girls, and homemade Puerto Rican cuisine.